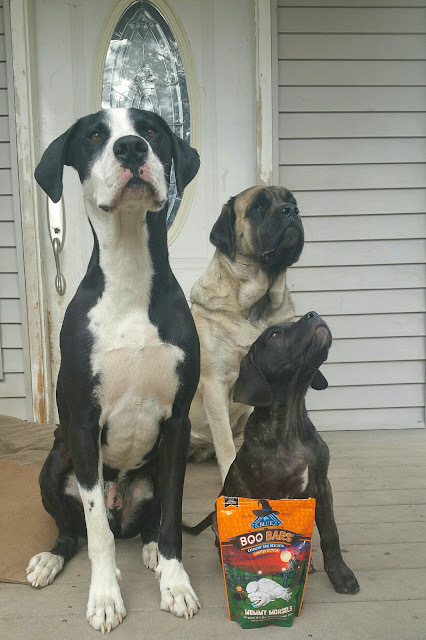 Being Frugal and Making It Work: Blue Buffalo Halloween Boo Bars Mummy Morsels with Pumpkin & Cinnamon ~ Your Dogs Will Go BATTY! While your pup might not be too big on dressing up like a bumblebee, he can still enjoy Halloween with the limited-edition Blue Buffalo Halloween Boo Bars Mummy Morsels with Pumpkin & Cinnamon. 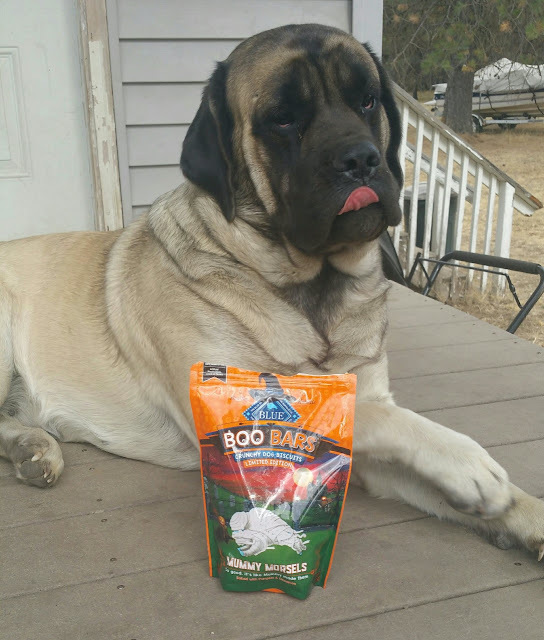 The crunchy treats are a great way for your furry kid to enjoy a healthy bite while the other kids eat their candy. Made from an original recipe, each oven-baked snack features some of the season's most delicious and nutritious ingredients including pumpkin, carrots, barley, oatmeal, flaxseed and cinnamon. Best of all, these jack o' lantern, ghost, and bat-shaped treats are made without poultry by-product meals, corn, wheat, soy, artificial preservatives, colors or flavors.